We left Barcelos early to beat the heat! My mum was feeling way better and it was great to get back out walking again. She wasn't at 100 percent but she gave it her all. I know she was frustrated with having to take breaks along the way but we had to remind each other it was all about the journey, not how fast we go. That was our motto really for the rest of the trip so we enjoyed our stops at little cafes on the way and were able to enjoy the towns we walked through more. Our first stop was at a great cafe where I had freshly squeezed orange juice. Nothing beats it! My mum opted for a fruit popsicle and a sprite and yes it was before 10am. However, she justified it because her body needed the sugar and the popsicle helped her cool off. It was important for us to stop lots today and we brought lots of fruit to have along the way too. Next stop along the way was a buzzing cafe that was packed but we were glad we stopped. The food was delicious and we were able to get out of a downpour by sitting down for a long while. There were lots of other pilgrims taking a break there as well. We found it so nice running into the same people while walking each day, a familiar face in a not so familiar place. We finally arrived at our destination after a long day of walking. We walked roughly 22km from Barcelos to Vitorino de Piaes, a very small 'town' in the countryside. The maps and markers along the way say different distances which is always confusing when you are trying to find your next destination! This 'town,' (if you can call it that,) had about 100 people living in it, which was very obvious. 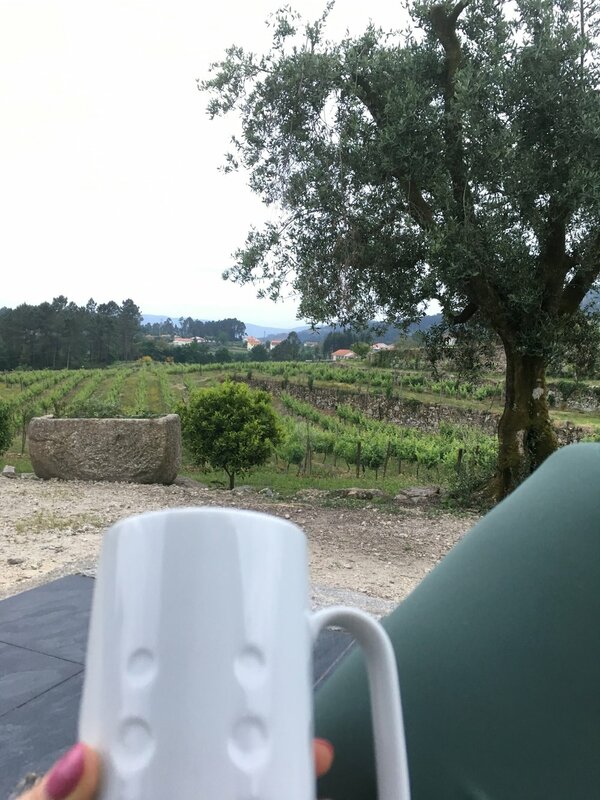 However, I loved staying in the small towns throughout Portugal and although this hostel was quite basic it was one of my favourite stops along our Camino. The hostel we stayed in was a converted stable. Each room had a bed, a toilet and a shower but it was very basic. There was no door to the bathroom, just a wall dividing the two! We had the option to either go buy our dinner at the grocery store or have it made for us. My mum and I jumped at the opportunity to have dinner made for us, there was no way we were walking any longer that day! Every day when we arrived at our hostel or hotel I would be so hungry and today was no different. The dinner was simple but absolutely delicious. We had salad, bread, pasta and fruit. They also provided us with olive oil and white wine that was made on their farm. Everything was perfect! We ate all together, family style, and were the only Canadians at the table. The rest of the people were German, or two Brazilians and a Swiss German. 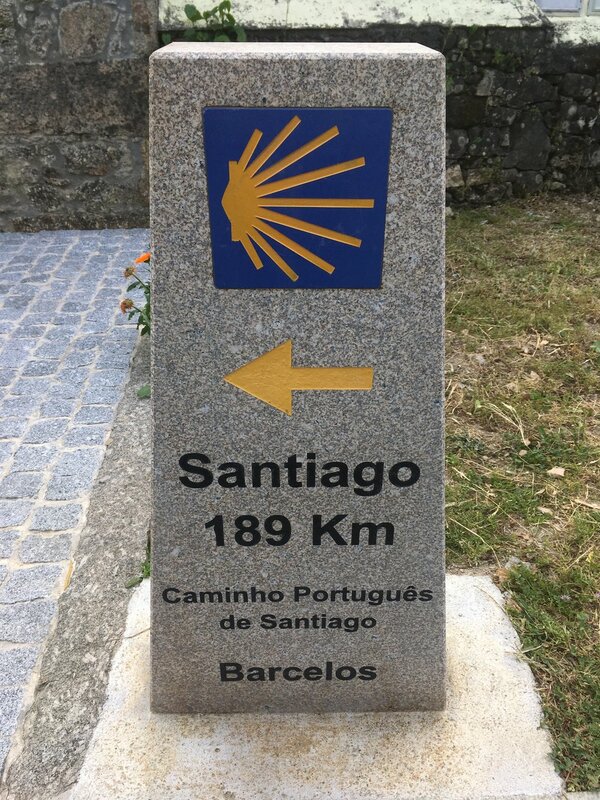 It was fun to meet people and ask them why they were walking the Camino and getting to know their stories. We had a very early night as it got dark quite early and we were beat. After a long sleep we headed out early to get breakfast in a cafe in the next town. Stay tuned for the next day of our journey!